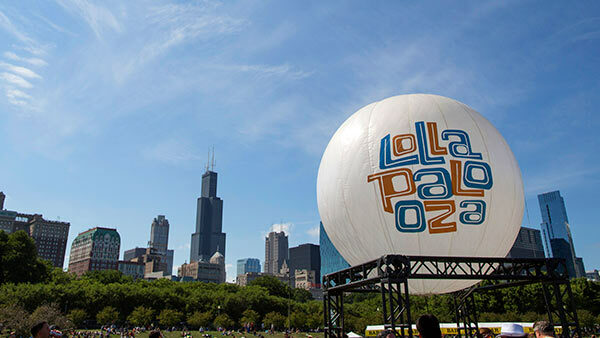 CHICAGO (WLS) -- Four-day tickets to Lollapalooza 2017 sold out within hours of going on sale Tuesday. The tickets became available at www.lollapalooza.com/tickets at 10 a.m. By around 12:45 p.m., there were none left. General admission four-day tickets cost $335 plus fees, VIP four-day tickets cost $2,200 plus fees and platinum four-day tickets cost $4,200, including fees. Official hotel packages were also available. The music festival will be held in Grant Park from Aug. 3-6. Rumored headliners include Muse, Arcade Fire and Chicago's own Chance the Rapper. The full lineup will be released at 6 a.m. Wednesday. One-day tickets go on sale at 10 a.m. Wednesday. General admission one-day tickets will cost $120 plus fees, VIP one-day tickets will cost $650 plus fees and platinum one-day tickets will cost $2,800, including fees.